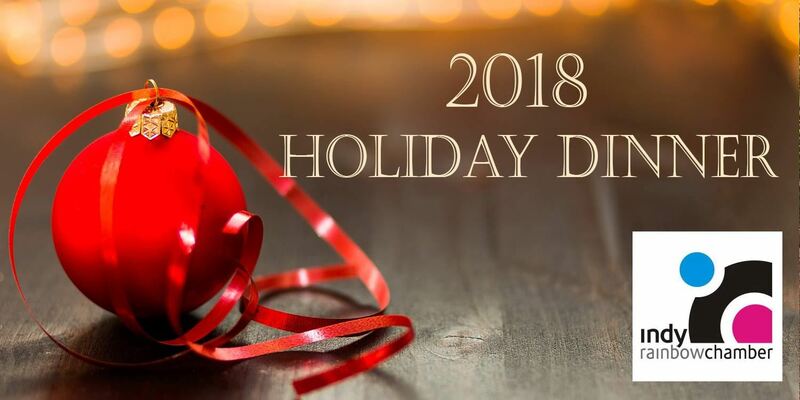 Join Indy Rainbow Chamber for our annual Holiday Dinner on Dec. 2nd at Cooper's Hawk Winery & Restaurant! Cocktail Hour begins at 5:30 p.m. and dinner service will begin at 6:30. We will be hosting a 50/50 raffle with proceeds to benefit Indiana Youth Group (be sure to bring cash for the raffle), as well as collecting donations for IYG during the event. Please visit IYG's website for a list of their current donation needs. Festive holiday attire please. Ticket price of $50 includes hors d'oeuvres, (1) sparkling wine flute, 3 course meal, dessert and coffee, tea & soft drinks. Space is limited, please RSVP & purchase tickets by 11/26/18. Special note: if you have special dietary needs please let us know, and we will work with the restaurant.